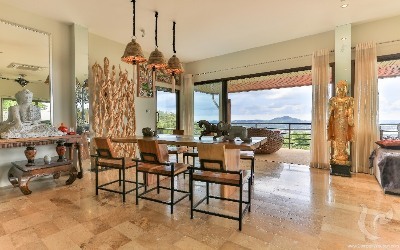 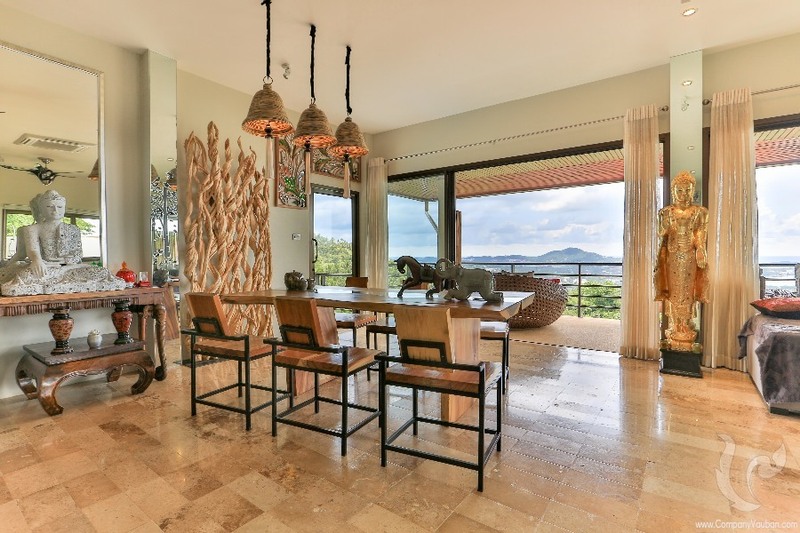 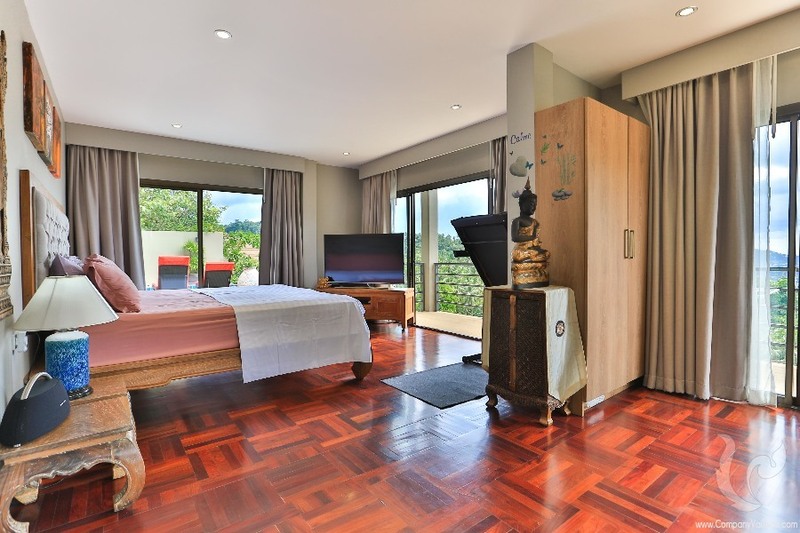 This beautiful villa built 10 years ago and fully renovated 1 year ago offers breathtaking views of the golf course and Lake Chaweng. 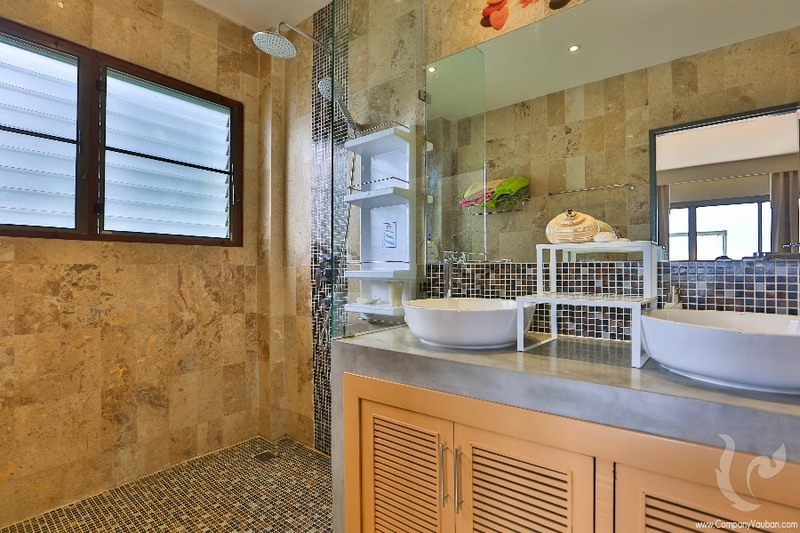 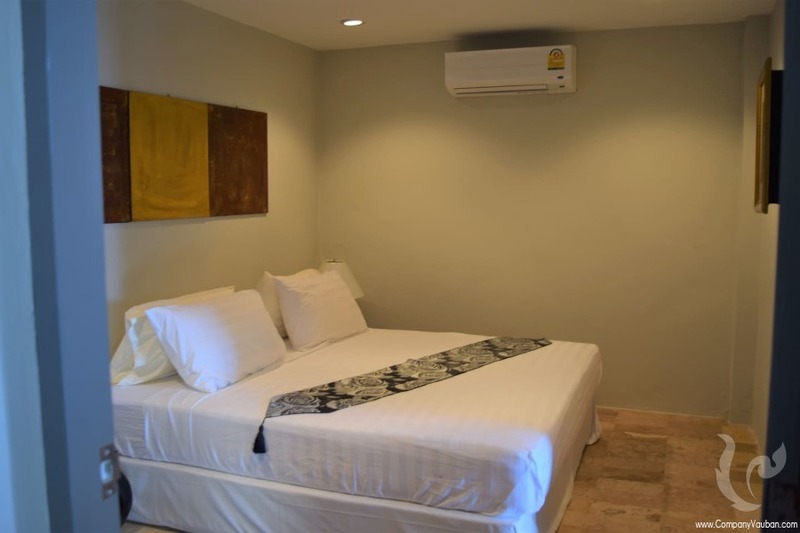 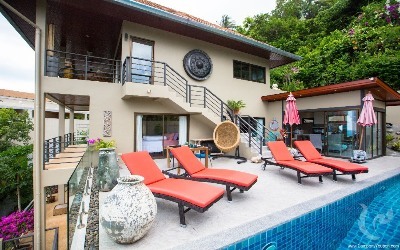 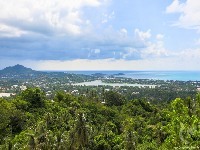 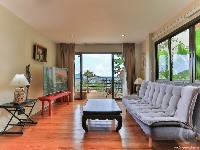 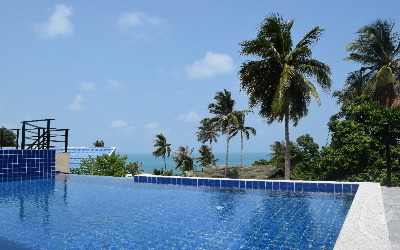 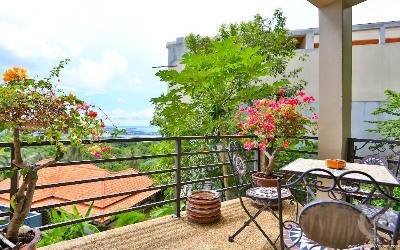 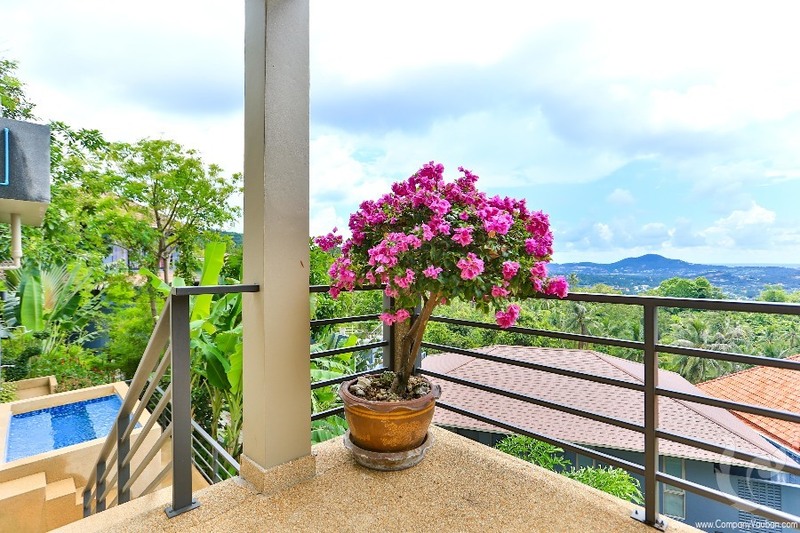 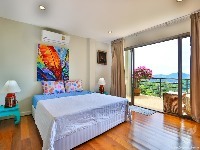 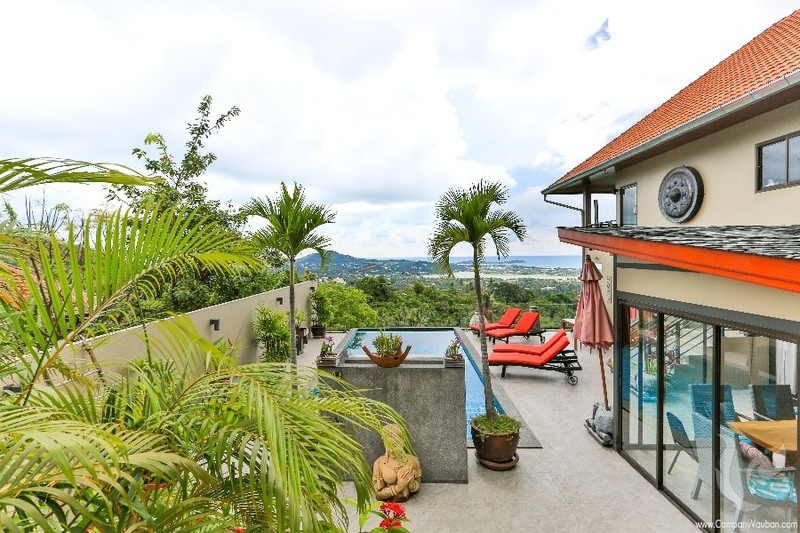 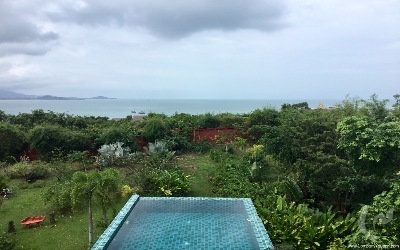 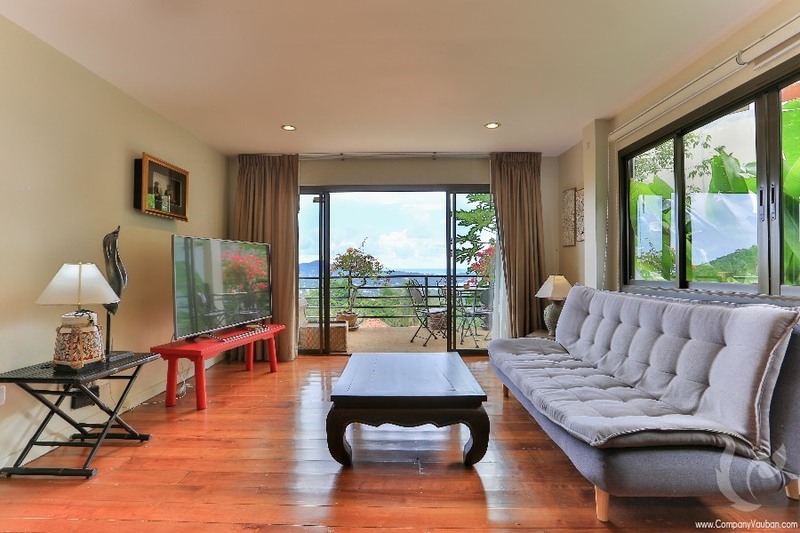 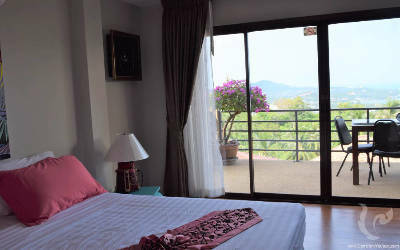 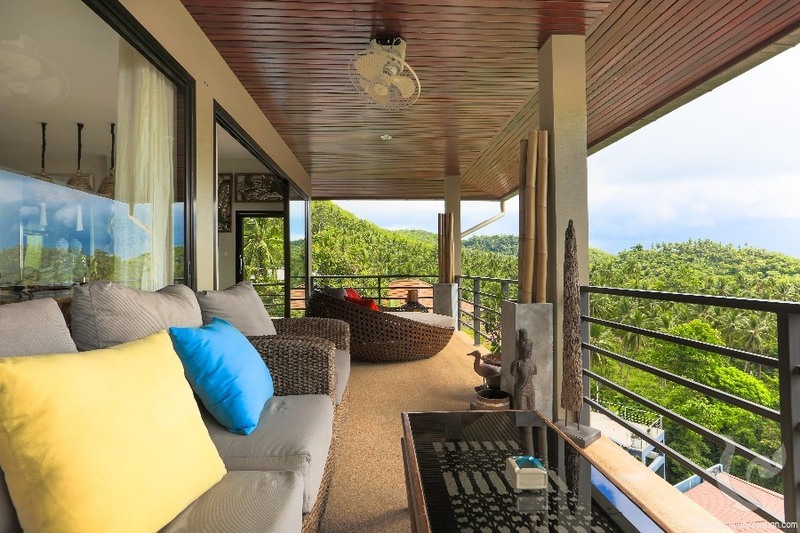 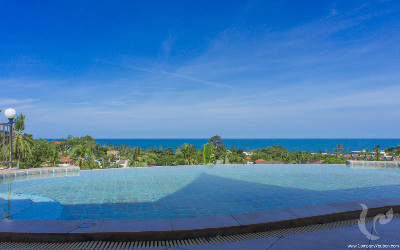 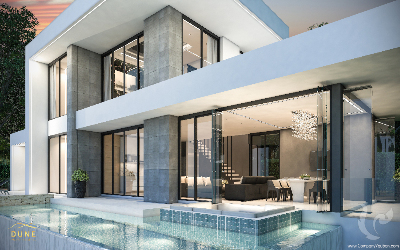 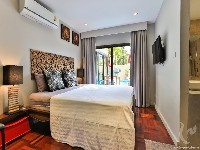 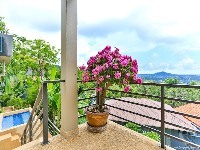 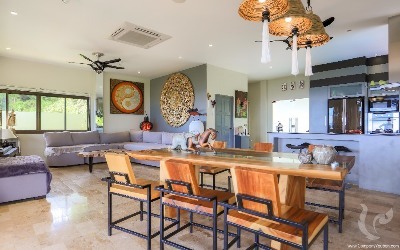 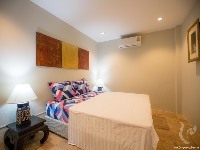 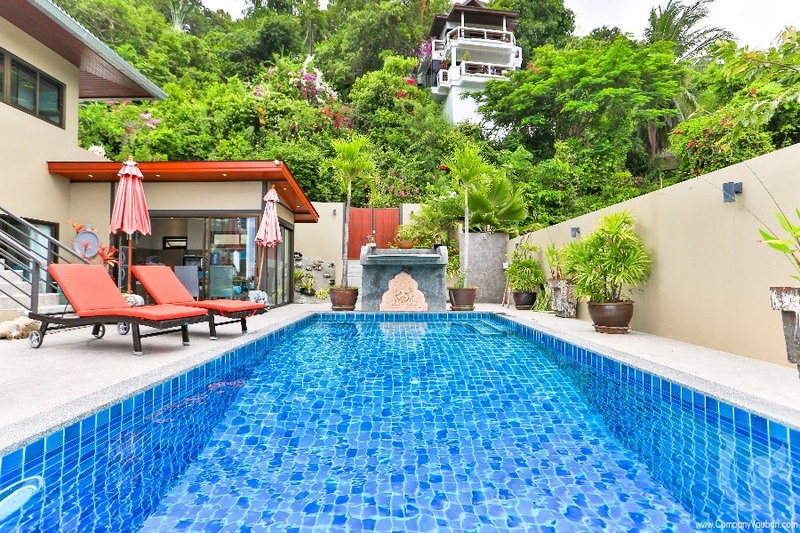 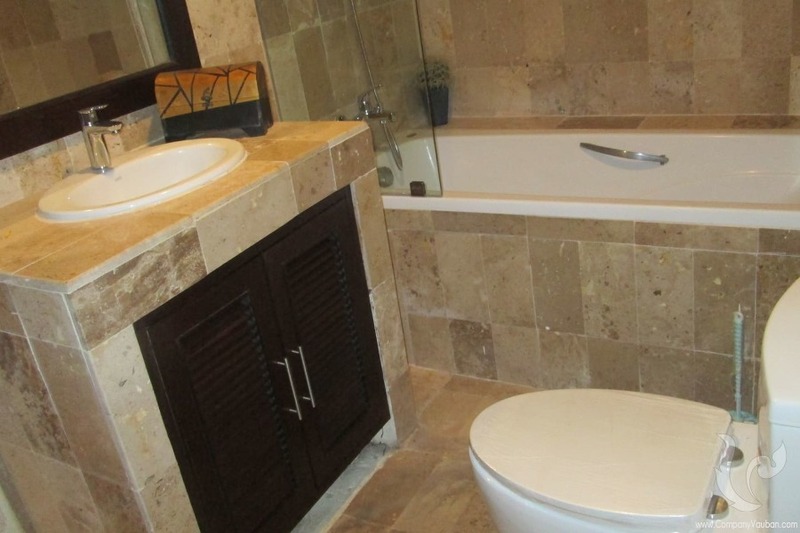 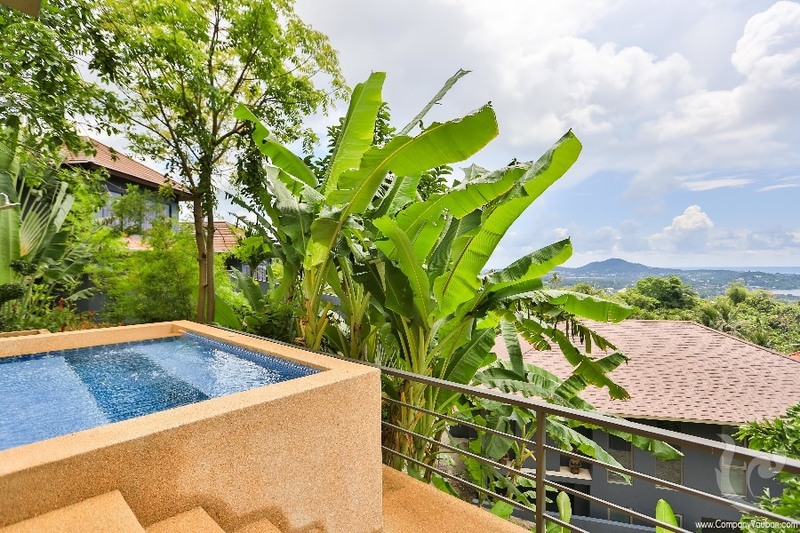 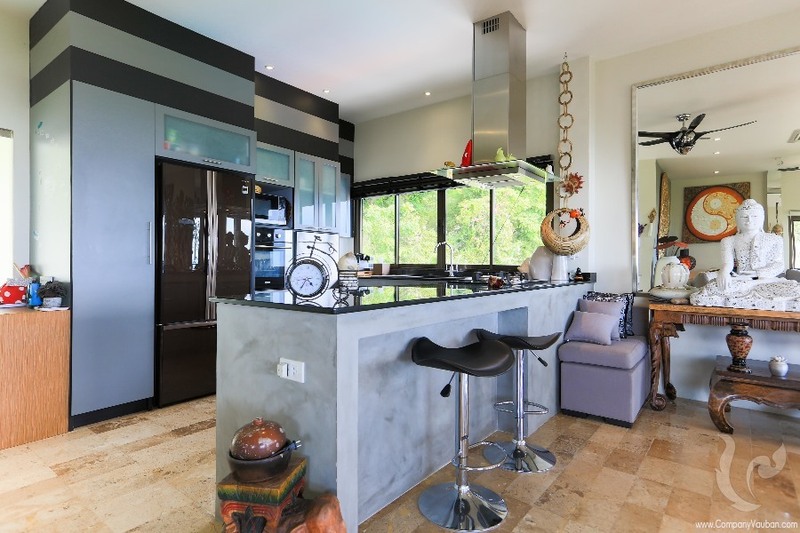 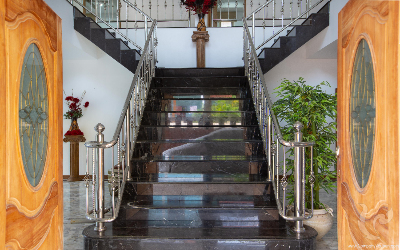 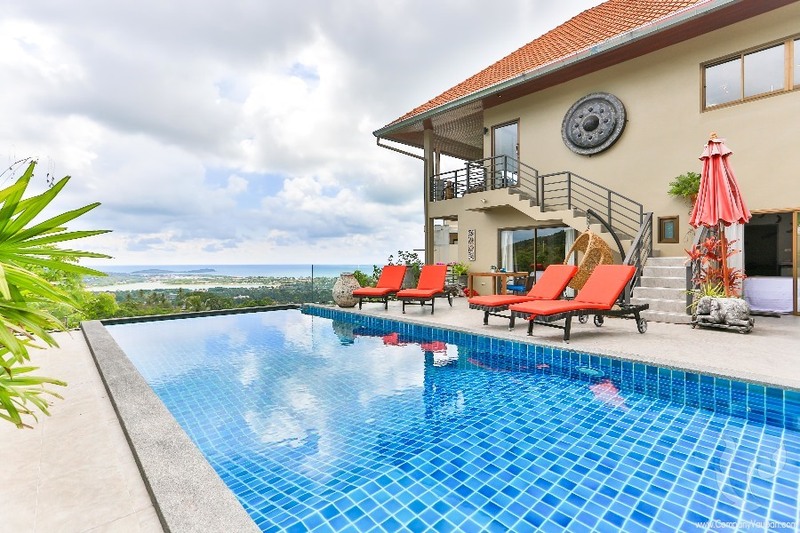 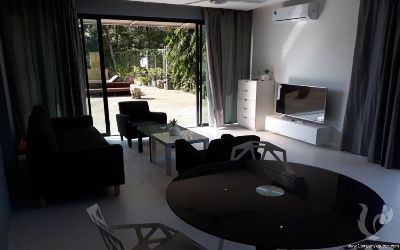 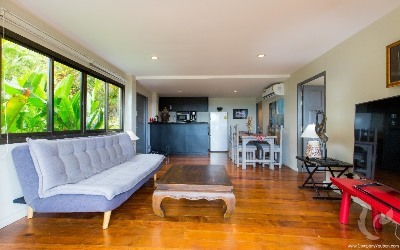 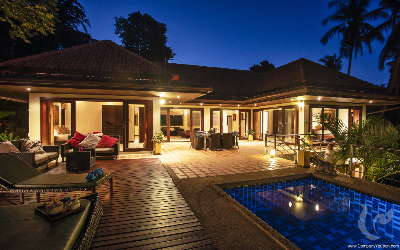 Located in the heights of Chaweng (access possible by scooter) in a secure residence, this villa has 5 bedrooms, 4 bathrooms and 1 guest toilet. 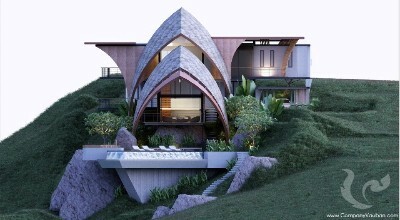 The garden surrounding the house is neat and very pleasant. 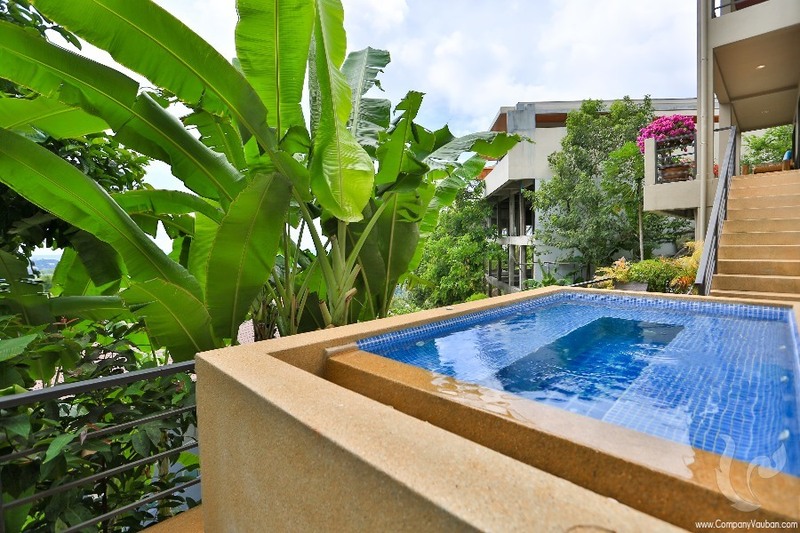 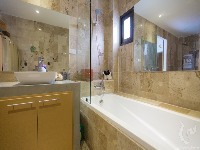 The space around the large swimming pool (max depth 1.90m) is fully functional (shower, closed kitchen). 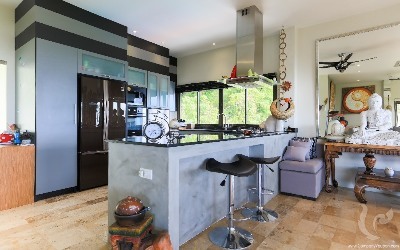 The closed kitchen next to the pool is fully equipped with table, fridge, gas, oven, fryer, plancha, pregnant ... On the lower level, you will find a real hot tub of 8 places.